In the first two lessons of the section we downloaded, installed and started the Tomcat 6 source distribution file for use in the Servlets 2.5 and JSP 2.1 lessons. We completed these lessons using Java commands within a command prompt window so we could see how Java worked 'under the hood'. This is a great way to really understand how for example we get our source files to compile and how to point to different Jar files we need via the classpath. In the real world Integrated Development Environments (IDEs) are in common usage for developing code and automate a lot the implementation details for us. This helps make us more productive and now we know what is going on 'under the hood' is not something that will seem to happen magically, we will know it is just automated for us by the IDE. One of the most popular IDEs that we can use to make development of our Java applications easier is the Eclipse IDE which is free to use. You can find details of how to download the Eclipse IDe are covered in the IDE section of the site. In this lesson we will be looking at how to download Tomcat 6 for use as a project within the Eclipse IDE. This will allow us to set breakpoints and step through code as we are developing it in Tomcat so we can really see what is happening to our code within the Tomcat Servlet container. Although this method of verification is not cast iron, by getting the screenshot above we will assume security has been met and the file is valid. We can now extract the file to a location of our choice. 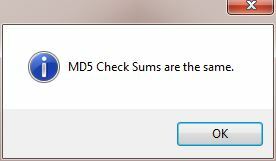 On my Windows7 system I unpacked the zip file to my c:\ drive. Now we have Apache Ant installed we need to add add the classpath for where the Apache Ant build tool executable resides. First lets open a command line prompt and type in ant. Below is a screenshot of what happens when we do this on my Windows7 system. The ant command lies within the bin directory of the filepath where Apache Ant was installed which in my case is C:\apache-ant-1.9.4 and so we need to add this classpath to our environment variables. 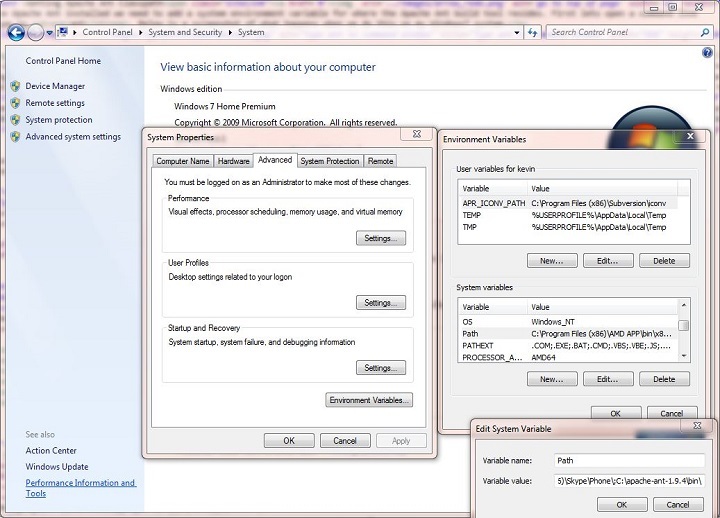 Below is a screenshot of how this is achieved on my Windows7 system and of course other OS will vary. But for Windows From Control Panel, select System >> Advanced System Settings and at the bottom of the window select Environment Variables. Add a classpath entry to the Path environment variable for when we want to use the ant command. To do this Edit system variable "Path" and add C:\apache-ant-1.9.4\bin\ (or whatever you selected as your filepath for the ant build tool) to the end seperating this classpath from the last with a semi-colon. We also need to add a new system variable with the variable name of ANT_HOME and add C:\apache-ant-1.9.4 (or whatever you selected as your filepath for the ant directory) as the variable value. Below is a screenshot of what happens when we the above steps on my Windows7 system and reboot the pc. As you can see the ant command is now recognized. On my system once the file was downloaded I ran the windows installer for Slik-Subversion-1.8.13-x64 and just used the defaults and restarted my system. Using this particular software version the classpath entry was added automatically, but follow the instructions below or similar for your system if this is not done by the software provider. Now we have Subversion installed we need to add a classpath (if this wasn't done automatically) for where the Subversion executable resides. First lets open a command line prompt and type in svn --version. Below is a screenshot of what happens when we do this on my Windows7 system. The svn command lies within the bin directory of the filepath where Subversion was installed which in my case is C:\Program Files\SlikSvn and so we need to add this classpath to our environment variables. 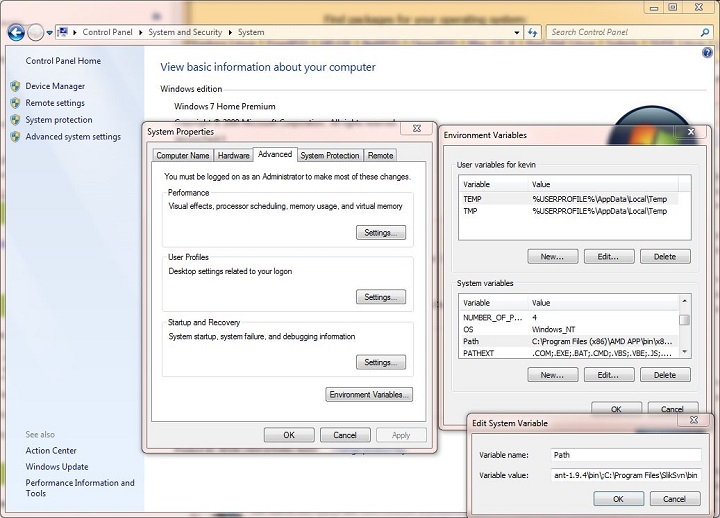 Below is a screenshot of how this is achieved on my Windows7 system and of course other OS will vary. But for Windows From Control Panel, select System >> Advanced System Settings and at the bottom of the window select Environment Variables. Add a classpath entry to the Path environment variable for when we want to use the svn command. To do this Edit system variable "Path" and add C:\Program Files\SlikSvn\bin (or whatever you selected as your filepath for Subversion) to the end seperating this classpath from the last with a semi-colon. Below is a screenshot of what happens when we the above steps on my Windows7 system and reboot the pc. As you can see the svn --version command is now recognized. We now have the tools required to download the latest Tomcat 6 source code from the Subversion repository at the ASF. To checkout the source we need to create a directory for the source to go into. The following screenshot is on my Window7 system and I create the tomcat6 directory from the c:\ drive and then go to c:\tomcat6. Ok, within c:\tomcat6 directory, or whatever directory you created, type the following to download the most up-to-date version of the source 'trunk' for Tomcat 6. The artifacts will be downloaded to the folder that is identified by the base.path property that resides in the Ant build.properties.default file which by default is usr/share/java. You can of course change this to a directory of your choice. 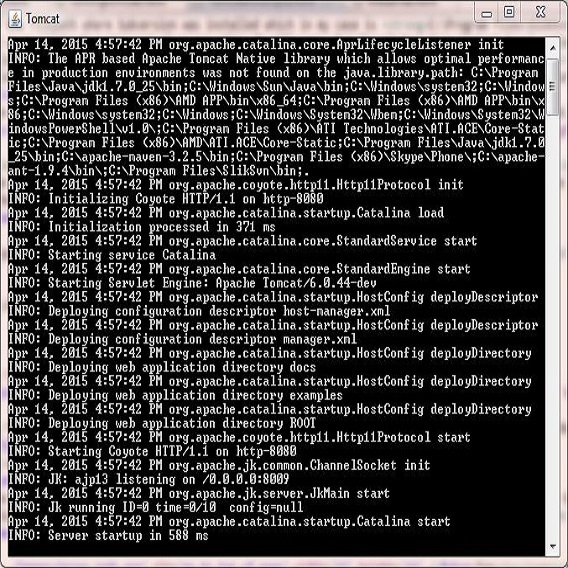 The following screenshot shows the artifacts downloaded to my c:/usr/share/java directory. This version of Tomcat 6 is now fully operational and can be used within the Eclipse IDE. How we import and use Tomcat 6 within the Eclipse IDE is explained in the Integrating Tomcat Into Eclipse lesson. We have downloaded the Ant build tool and the Subversion software version control tool and then used these tools to get the latest Tomcat 6 build, deployed and run it. That's it for the Tomcat 6 lessons, in the next section we look at Getting Tomcat 7. All the Tomcat 6 lessons are listed below. Click a link to go to that lesson.